Juventus beat AC Milan 1-0 in Saudi Arabia on Wednesday to win the Italian Super Cup for a record eighth time. Cristiano Ronaldo scored the only goal of the match to win his first trophy with Juventus. 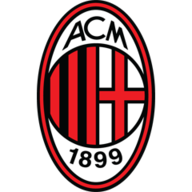 Milan had to play the final 16 minutes with 10 men after midfielder Franck Kessie was sent off following a poor tackle on Emre Can, which saw him stamp on the Juventus midfielder. Gonzalo Higuain, who is on loan at Milan from Juventus, had also been a focus of the build-up to the match ahead of a potential move to Chelsea, but the Argentina forward was named on the bench against his parent club. Blaise Matuidi had a goal for Juventus disallowed for offside while Ronaldo saw an acrobatic effort bounce narrowly over the crossbar in an even first half which also saw Juve goalkeeper Wojciech Szczesny pull off a good save to deny Hakan Calhanoglu. Milan almost took the lead immediately after half-time but Patrick Cutrone's effort came off the crossbar. The Rossoneri were left to rue that missed opportunity as Ronaldo broke the deadlock in the 61st minute, heading home from Miralem Pjanic's pass over the top. Juventus had another goal disallowed for offside but any chance Milan had of getting back into the match all but evaporated after Kessie was sent off in the 74th.